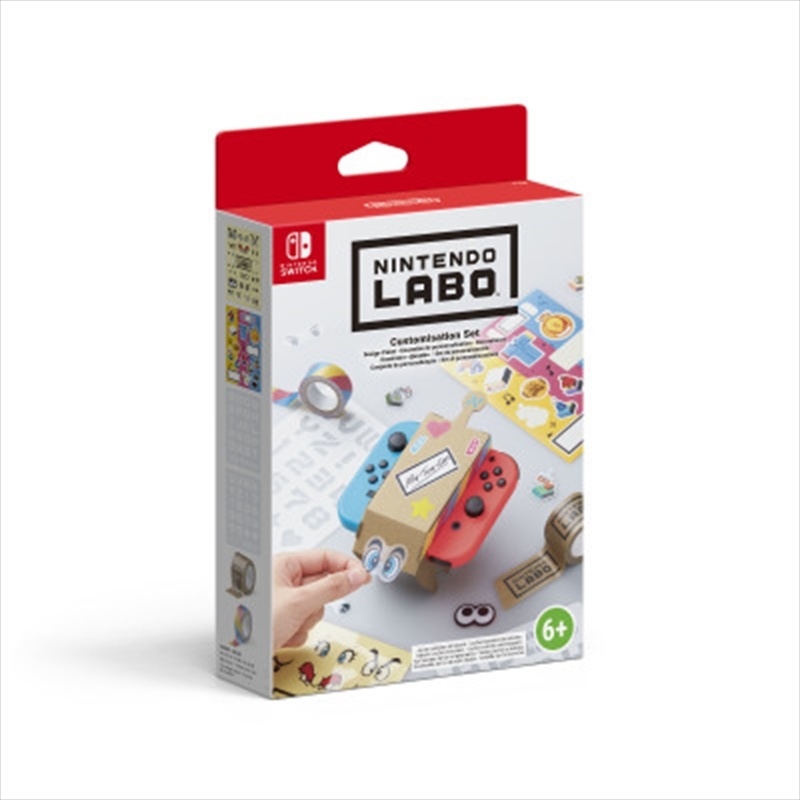 With Nintendo Labo, making and discovering is just as much fun as playing. Every Toy-Con creation presents exciting challenges and varying degrees of complexity, so each one is a unique experience. Making Toy-Con is especially fun with family and friends, as you collaborate and share each other's Nintendo Labo experiences. Once built, those with a creative touch can customise their Toy-Con creations with their own colouring pens, stickers and paint to give them a personal feel - the only limit is their imagination. Customisation Set includes fun stencils, stickers and coloured tape.